The Maker City LA floor is filled with independent and self-started companies. Each has their pulse on the next great opportunity: ride-sharing, online mitigation, App based legal support, and male capsule e-commerce fashion, virtual reality accessories, mobile game design, and digital streaming art experiences, you name it. Yet with all the time online, between chat bots and digital emails, even the most forward thinking innovator needs to unplug. That’s where great eats, worldly locations, and one of a kind fashion come in. 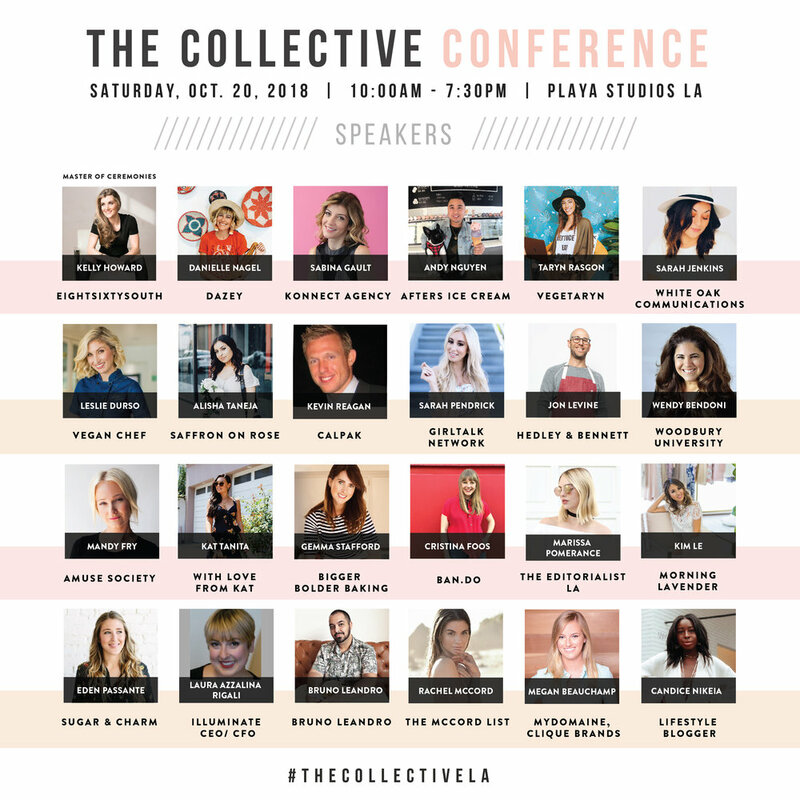 Maker City LA will be at this year’s 2018 gathering at The Collective Conference to rejuvenate before the holidays and to kick-off a mindset of gratitude, abundance, and trend updates. This Saturday event taking place October 20th brings a much needed experience of relaxation and inspiration. We attended in 2017 and met all the influencers, heard honest advice by trendsetters, connected with other business owners, leaving completely ready for the New Year. We had to return again this year. If you’re in the middle of shaping a vision for 2019, getting a feel for what’s next, or generally wondering how to strengthen your ideas, brand, and client relationships, The Collective Conference is the most stylish and lush days in Los Angeles for men and women to connect and contemplate their thoughts over food, mediation, and conversation. Our favorite parts of attending are the opportunities to have great eats while listening to powerful stories and expanding our knowledge with like-minded business, blogs, and career attendees. The insightful industry professionals and taste-makers have tested tips on sharpening a brand, rewriting a marketing approach, and view points about what’s new on the horizon.